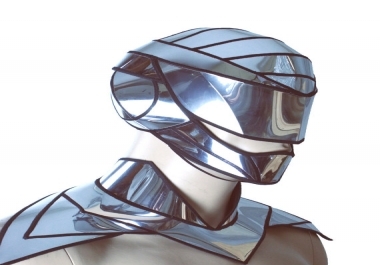 I am attempting to get a mask of mirrors made that can be worn during a musical performance. This is roughly what im looking for but i would like the mask to not cover my eyes or mouth. Possibly made with cloth base and an adhesive to attach the mirror shards to. The picture included is a relatively close to what i am looking except i would like the mirror shards to be in a mosaic style connecting like jagged puzzle pieces. Message me for further details.